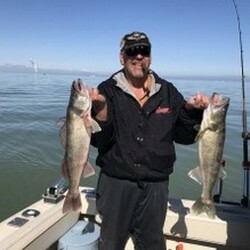 Experienced fishing guide fishing all Ohio and Ontario waters of Lake Erie! We leave the dock at 6:30am for 10 hours of fishing. 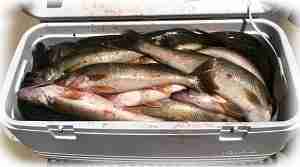 Fish for your choice of the best sport fish that swims in Lake Erie. We can fish both Ohio and Ontario waters. 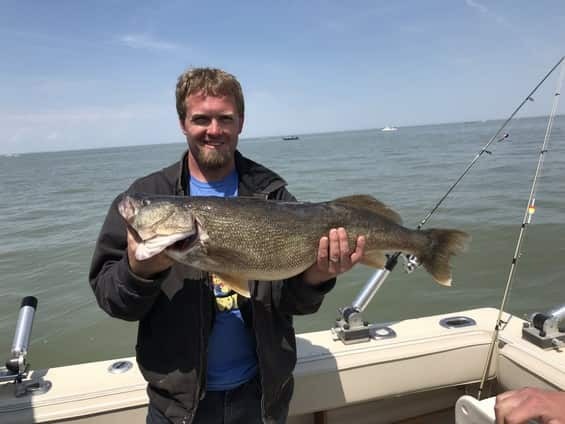 Now is the time to try and secure that good date for walleye, smallmouth, perch, salmon and steelhead on Lake's Erie and Ontario. If you were planning on coming back in 2019 and maybe forgot to mentioned rebooking, now's the time. This is the time that the best dates are available. There's still time to target the best fighting fish that swims in Lake Erie. This is an excellent adventure for anglers of all ages. 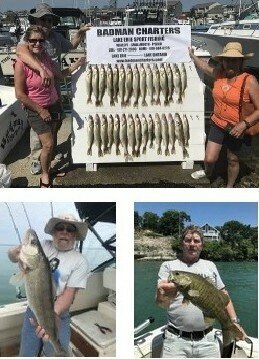 Ask about Lake Erie fishing and lodging packages! 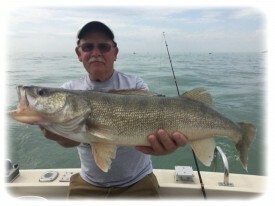 Your fishing preferences are discussed at the time you book any of your Lake Erie charters for walleye, smallmouth bass and yellow perch fishing and again at the beginning of your day's fishing trip! Badman Charters will put fish in the boat on your Lake Erie trip! 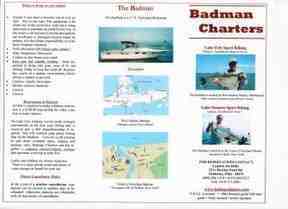 On any Badman Charters trips, you can expect to use any of the standard fish catching methods or go with the recommendations of Badman Charters. Remember, all charters are multi-presentation, which means your fishing charter has options and are versatile, all this translates into more fish for you! Badman Charters has different fishing trip packages that includes lodging, to fit your Lake Erie fishing plans! Lodging can be arranged to make your charter experience easier. Units are set up for fishermen and families. 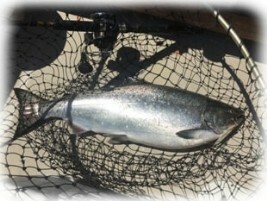 Packages can be combined for fishing and overnight lodging. All units have fish cleaning on site and are comfortable lodging, with absolutely, NO TRAILERS!! NOTHING is final until the morning of your Lake Erie trip!